Are Expensive Guitars Worth It? Are Expensive Guitars Worth the Money? 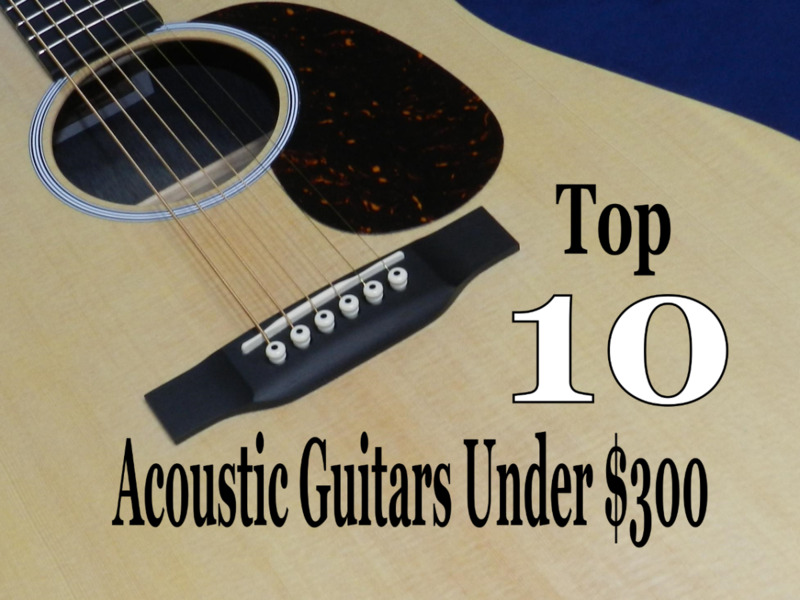 If you have been playing guitar for even a little while you probably realize there are some very expensive guitars out there. Obviously many guitarists think they are worth the money or they wouldn’t exist, but as a young player or typical working-class musician it can be hard to fathom how you’d ever swing the cash for such a guitar. The idea of dropping several thousand dollars on one instrument likely makes you a little dizzy. So, you get to thinking that budget-model guitars are going to have to be good enough for you. Your Epiphone Les Paul or MIM Stratocaster sounds pretty good, and it even looks almost as good as its American-made cousin. Why drop a ton of cash on a pricey guitar when there are amazing wallet-friendly instruments around every corner? The magic is in the player, not the guitar, right? Your reasoning is sound, and you are confident in your decision. Until you look around and realize every big-name musician you see is playing a Gibson, American-made Fender, PRS, Martin or Taylor. If those guys don’t settle for budget guitars, how are you supposed to compete in the music world playing intermediate-level gear? The last straw snaps when you catch sight of the “guitar player” in the latest trendy pop band, a young lad in his teens who seems unable to string three real chords together (but he has amazing hair). 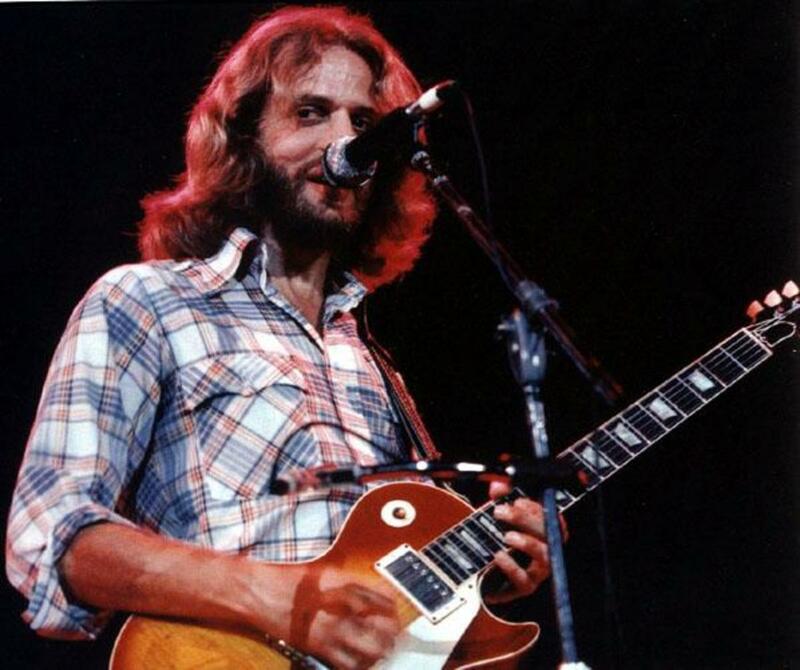 He’s playing a shiny new Gibson Les Paul Standard. A pretty sunburst model with an awesome flame top - one that you’ve always wanted but knew you could never afford. As you question the very existence of God and scream Shatner-like into the sky, it dawns on you that you may be the victim of a conspiracy of sorts. After all, it’s just a guitar, a conglomeration of wood, metal and plastic. How could one model really be all that better than the others? Could it be that some models are over-hyped and overpriced in order to convince guitar players that they need something they don’t? My opinion: You might be on to something. Sort of. Some guitarists think there is some kind of grand conspiracy at work to coerce guitarists into thinking they need expensive guitars when really budget guitars are more than good enough to meet their needs. They are right, but there is another word for this: Marketing. To get your head around it better, put yourself in the shoes of one of the major guitar manufacturers, maybe one that has been around for many decades. You know your top-level guitars are among the best in the world. They are well-crafted, sound amazing and have legendary reputations in the guitar community. Your research shows you can jack the price up to a certain level and people are still going to buy them. You also know that, by doing so, many guitar players won’t be able to afford them and you won’t sell as many guitars. 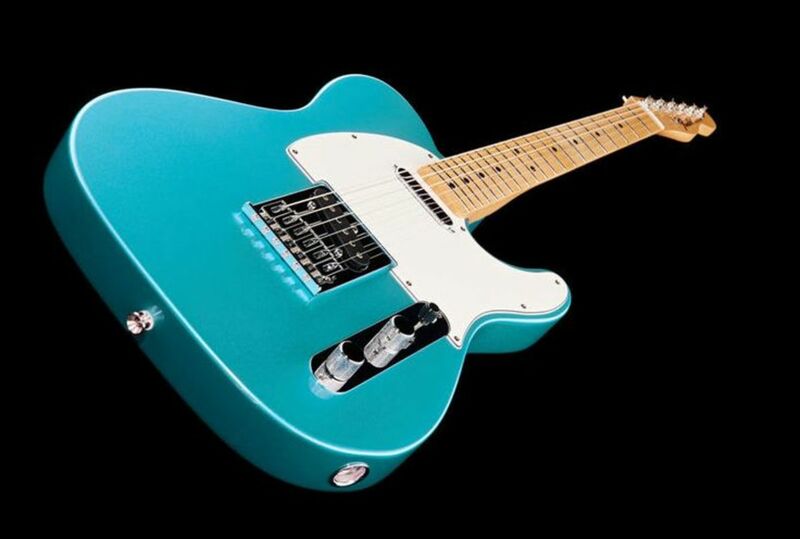 So, if you are this guitar company, what do you do? If you drop the price you will be forcing your flagship instruments down in perceived value, a value you’ve already determined the market is willing to support. On the other hand, by keeping the price up you’re going to drive away players on a tight budget. You will lose customers to other guitars brands who are willing to make budget copies of your guitars, and you will lose future business. If you are smart, what you do is introduce budget versions of your classic guitars, ones almost anyone can afford. This way, you simultaneously keep the values of your flagship instruments where they belong, while offering less-expensive versions to consumers who can’t afford the real deal. They hold back some of their top-end features for their flagship instruments, and use lesser-quality components on budget guitars to keep the price under control. Is this a conspiracy to get you to spend more for the "real deal"? No, this is smart business. But guitar players allow themselves to get railroaded when the forget that they are the consumer in this equation, and that it is up to them to determine which guitar is the best option for their needs. Guitar companies may make it seem like you can’t live without their best guitar models, but many professional and semi-pro players do just fine without spending a lot of cash on gear. So, the important question is: For your specific needs, are expensive guitars worth the extra cost when compared to similar budget models from the same brand? Want to know a secret about my "American-made" Stratocaster pictured above? It's a Highway One, made in the USA but with downgraded components back in 2003. I upgraded the pickups to Custom Shop Texas Specials. Altogether it's cost me around half of what a USA Standard would have - and I wouldn't trade it for one. What Makes Expensive Guitars Better? Again, it’s about marketing. 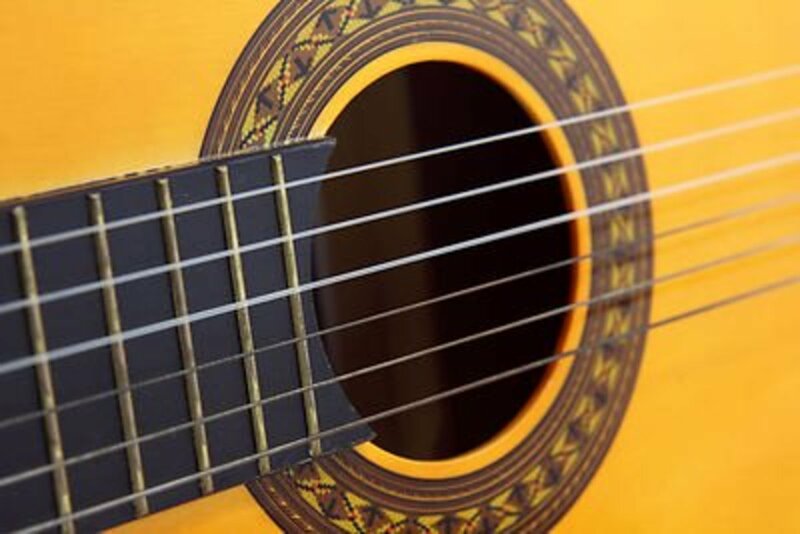 They know if you start out playing a beginner’s instrument with their name on the headstock you may move on to an intermediate-level guitar made by them, and hopefully end up as a life-long fan who eventually owns many of their expensive instruments. It is not wise for the major guitar brands to make sub-par gear at any price point. But the words good and better imply a comparison, and this is where the water gets muddied if you aren’t paying attention. 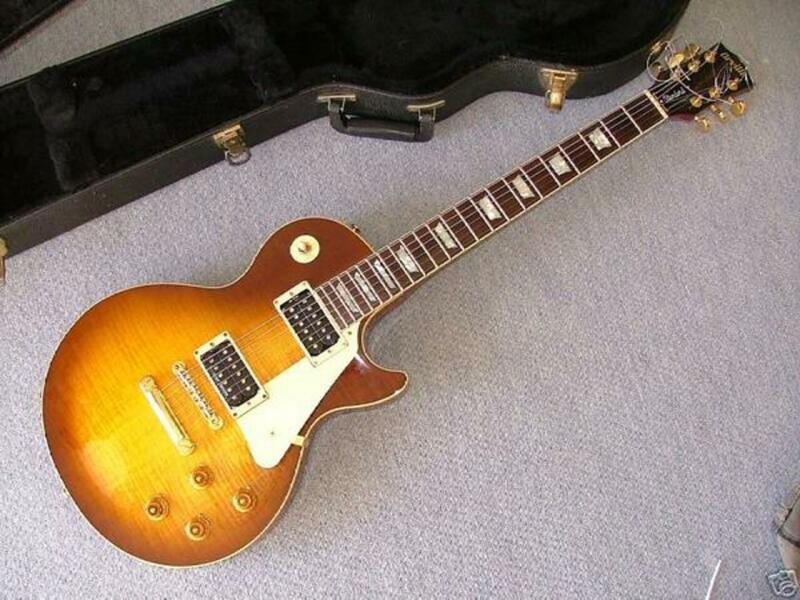 Is a Gibson Les Paul a better guitar than an Epiphone Les Paul? Absolutely! High-end guitars are made with better woods, better electronics, better hardware and they incorporate the company’s most cutting-edge technology. Unfortunately, many players stop there and dismiss Epiphone. They forget another important question: Is an Epi Les Paul a better guitar than most other guitars in the same price range? You bet! So, are expensive guitars generally "better" than intermediate-level guitars? Yes, they are. Are expensive guitars worth it, when you can own a good guitar for much less? That is a question you have to answer based on your own skills, goals and budget. My opinion: Guitars like the Epi Les Paul Standard and PlusTop PRO have come a long way in the past decade or so, and they are excellent alternatives to the Gibson Les Paul. That goes for beginners, intermediate players, and even seasoned veterans. 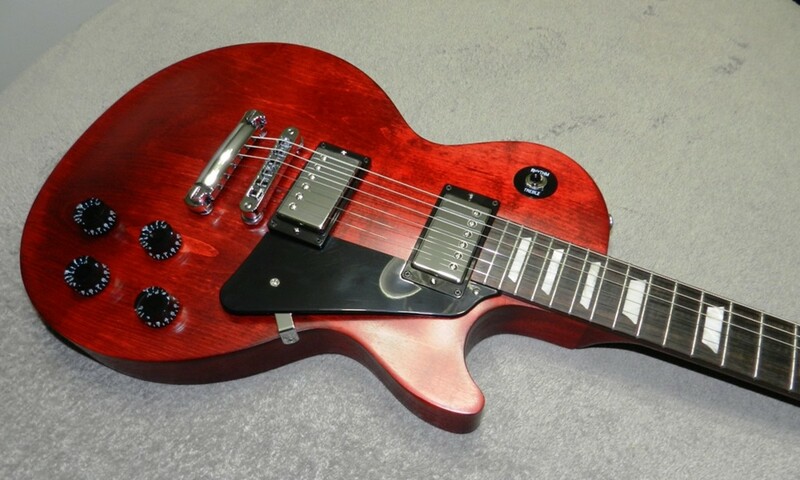 Gibson also usually has a few lower-priced models in their lineup each year under their own brand name. Look for "faded" models and similar guitars under the $1000 mark. The Les Paul Studio Faded is a great guitar for very budget-friendly price. You'll find many of the same features found in more expensive Gibsons. I grabbed the 2016 model, and I'm glad I did. My 2016 Gibson Les Paul Studio Faded - all the goodness of a Les Paul at a fraction of the cost. Do You Need Expensive Gear to be a Serious Guitarist? If you intend to be a professional musician someday it is easy to get caught up in the idea that you need to play expensive gear to make it happen. But if you look closer at the kind of equipment pro guitar players use you’ll find you are worrying over nothing. So, if intermediate-level guitars are good enough, why aren’t famous musicians playing Epiphones and Squiers? Some do. The truth is most famous guitar players started out just like you and me. They scrape tougether what they can and play the best gear they can afford. With a little determination they gradually upgrade their gear as their careers progress, so by the time we hear about them it seems like they are all playing high-end guitars. Often they are endorsing gear by the time they have become famous. However, most professional guitar players are not famous. If you take a glance at some of the better guitar and bass forums around the web and read what some of the professional, working musicians are saying, you’ll find a mix of opinions. Some swear by expensive, boutique gear. Others play inexpensive guitars and make the most out of them. Most professional and semi-pro guitar players are somewhere in the middle. They play what they like, and what sounds good to them. They are just as likely to bring their MIM Standard Strat to a gig as they are an MIA Strat. They have been around the block, and they know not to believe the hype when it comes to guitars and amps. They trust their own opinion, and they play what they want. You know what else? Most of them still sound amazing. 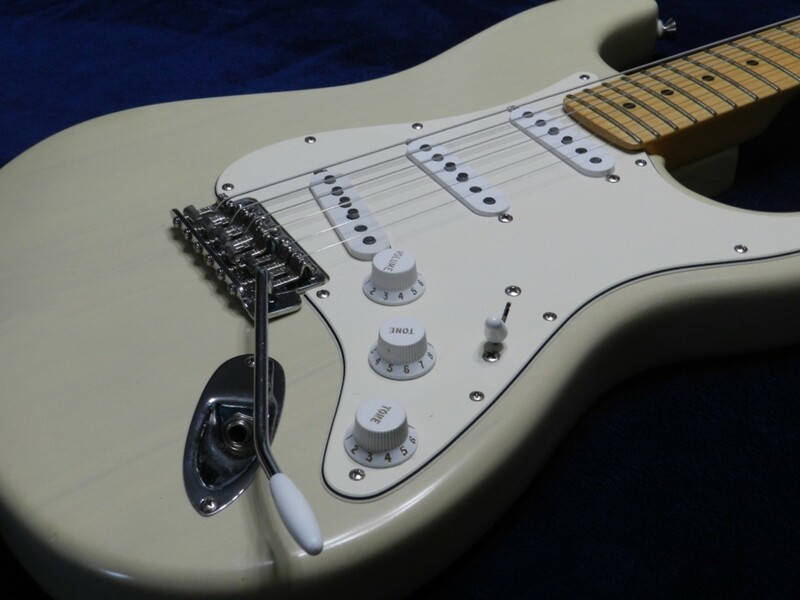 Guitars like the Fender Standard Strat are made to Fender's specs. Even though it doesn't come with a huge price tag, it is certainly good enough for professional and semi-pro musicians. In fact, along with my Highway One Strat, I've been playing a MIM HSS Fender Strat for over a decade. This is another guitar I would never part with, despite its smaller price tag. 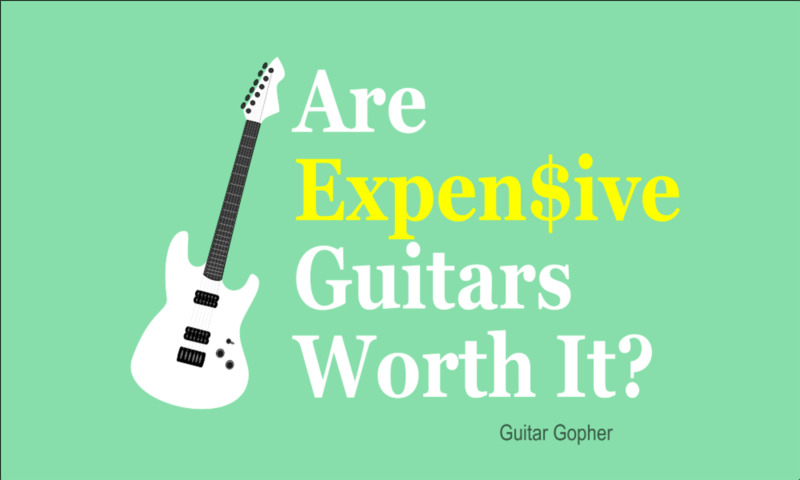 The question this article set out to answer is: Are expensive guitars worth it? It’s clear the answer is different for each guitar player. While high-end guitars are better-quality than less expensive guitars, there are still far too many excellent budget guitars out there to justify dumping a ton of cash on an expensive instrument just because you feel like you have to. The most important thing I hope you take away from this article is this: If you choose to spend your money on expensive gear, do so because you can afford it and because you enjoy it. Do not feel like you need to play a certain guitar in order to be taken seriously as a musician, and do not spend over your head because you are ashamed of playing an intermediate-level instrument. That’s nonsense. There are many outstanding budget and mid-level guitars out. They sound great, and they are plenty good enough for gigs, rehearsals and even recording. Nobody who knows anything about guitars will judge you for playing such an instrument. For those knuckleheads who do, make sure they eat their words when they hear you play. Your opinion: Are expensive guitars worth it? Can you justify spending thousands on a new guitar? I can afford expensive gear, so yup. I can afford expensive gear, but I'll never overspend on a guitar. I can't afford expensive gear and I feel like a schmuck for playing budget instruments. I can't afford expensive gear and I am proud to play what I have. My guitars are worth more than my car and I've lost all sense of fiscal responsibility when it comes to gear. 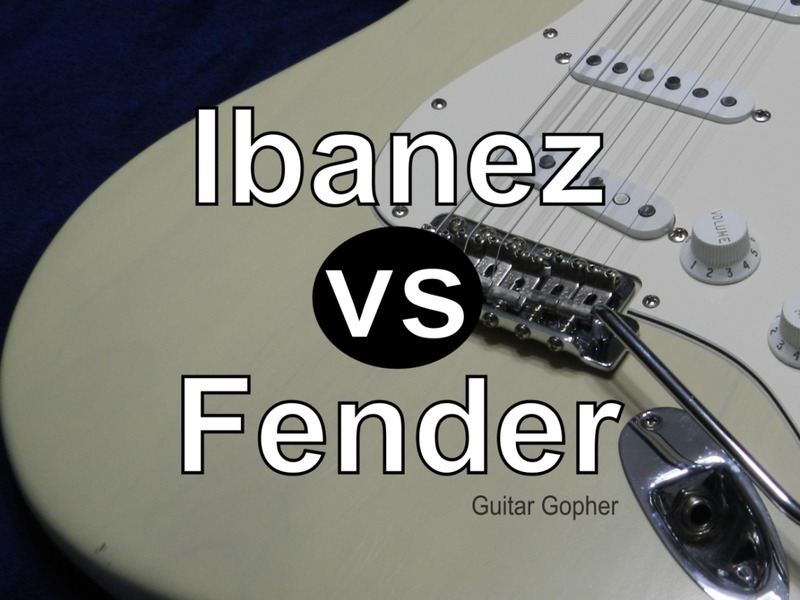 Ibanez Vs Fender: Which Guitar or Bass Is Best for You? Very interesting hub. played a 1971 D-28 Martin from the band Ala....and got to keep the guitar for a week. I never wanted to put the guitar down, but had to go to work. I gave him his guitar back, but have never heard that wonderful sound again. That guitar made me sound better and was the best action.